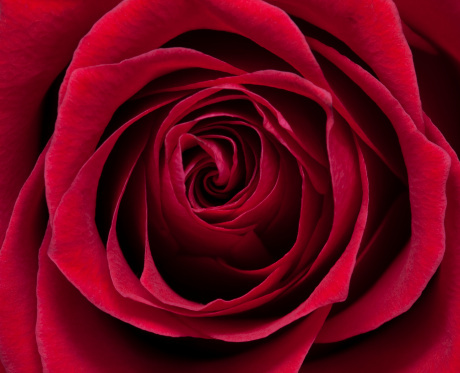 Roses are one of the most celebrated and recognized flowers in the world. With a little research or a visit to your local garden store, you will be able to determine which roses grow best in your area. 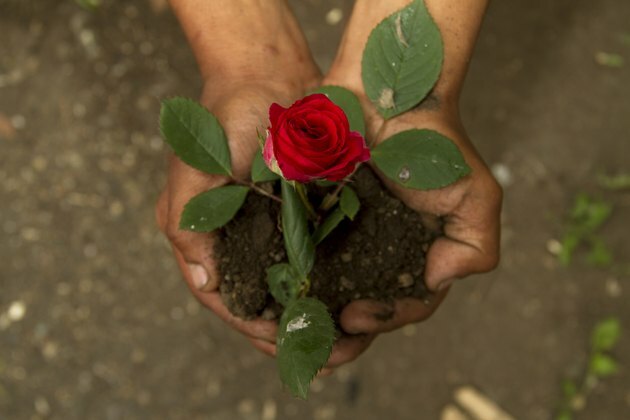 How long it takes to grow roses depends upon the type of roses you select, the climate and soil quality in your garden. Roses are generally planted in the ground in early Spring in most areas but may be planted in late Fall in mild climates. Most roses will be ready for their first blooms in the summer. Floribunda, hybrid tea and shrub/hedge roses usually bloom six to eight weeks after planting. Climbing roses generally have a limited bloom during the first season but have a large bloom by the second year after planting. Visit your local garden store to see which roses will grow best in your area. Soil should contain a maximum mix of 1/4 compost. 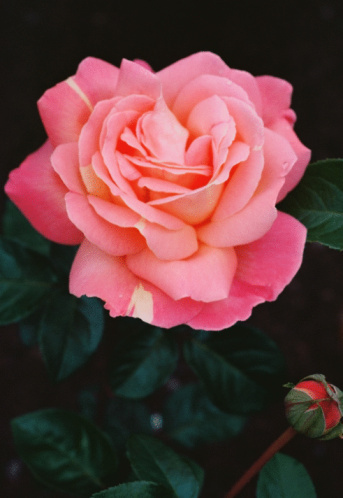 There are many different types of roses and their rate of growth is dependent upon the climate as well as the care they receive. 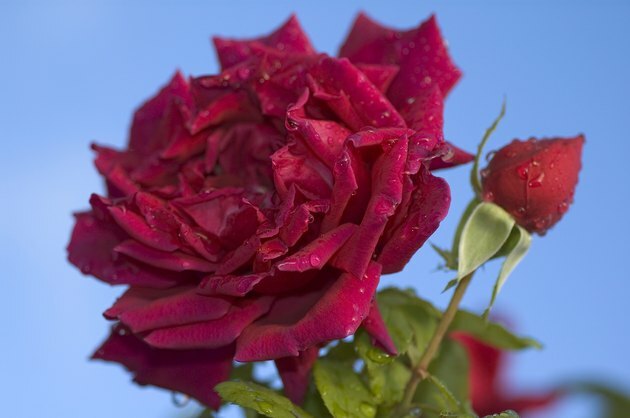 To achieve maximum growth and blooms, select roses that are recommended for your area. If you purchased bare root roses through the mail, plant them as soon as possible. When you are ready to plant, fill a bucket with room-temperature water. Carefully unwrap the bare root plants from their packaging and then soak the root system in the water for approximately one hour prior to planting. Dig a cone-shaped hole 18 inches deep and spread the roots evenly. Remove any damaged, dead or broken roots and stems prior to planting. Add a mixture of soil combined up to a maximum of 25 percent compost and manure. Pack soil mixture firmly to fill in the hole and water. Potted roses should be watered and placed in a sunny location. If you are planning to plant the potted roses in your garden, remove any damaged, dead or broken stems prior to planting. Dig a hole, place the rose bush into the hole and add a combination the soil, compost and manure mixture which has been mixed with loose soil from the container. Water lightly. A closeup of a Mr.Lincoln hybrid tea rose. Producing the classic long stemmed roses commonly sold by florists, Hybrid Teas are one of those most popular variety of roses. Mature Hybrid Tea plants can grow up to five feet high. Also growing up to five feet and with similar blooms, Grandifloras produce clusters of hybrid-tea roses but with shorter stems. 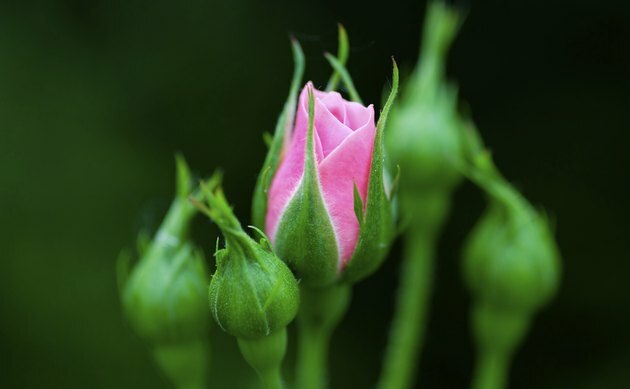 Climbing roses can be trained to entwine a trellis, a wall or an arbor but they frequently do not reach full blooming capacity until the second year of growth. Although they are usually between ten to twelve feet tall or wide, some climbing roses can grow up to twenty feet. Floribundas are easy to grow roses which generally bloom continuously from June until the first hard frost. Averaging between two and four feet tall, Floribundas feature clusters of flowers on short stems. Shrub roses are very hardy and will tolerate cool climates. Ranging between two to five feet tall, shrub roses will bloom heavily and frequently throughout the season. Due to their productivity, they have a large quantity of rose hips that need to be pruned regularly. Mini roses feature petite blooms and are available in a variety of colors. Most mini rose plants average approximately fourteen inches high but these hardy roses can reach a height of up to three feet.